Web 2.0 Permissions - 21centuryed Tech: Digital Teacher... Welcome To The Future! 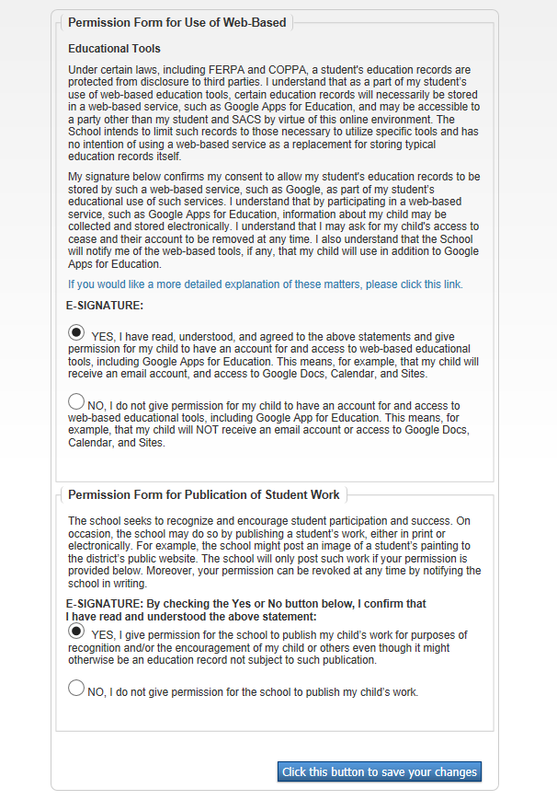 In the space below you will note an example of a Web 2.0 registration form that is signed by parents at registration. Please note taht not all parents have granted permission. Also note that there is a separate area for permission on publishing student work.